Summer is a wonderful time for kids. Not only do they get a well-deserved break from their busy school schedule, but they get time to reflect, grow, and experience. Whether your child will be attending camp, staying home, or going to visit family or friends, it's bound to be memorable! To keep those memories alive forever, help him create a summer book that encourages writing practise over his three-month break. Brainstorming: Includes thinking, taking notes, talking to others, outlining, and gathering information. 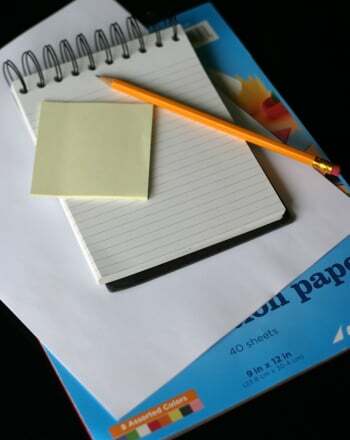 Pre-Writing: Putting your ideas into an outline or using a graphic organizer. Draft: The meat of the writing, in which you include the ideas and thoughts from brainstorming and pre-writing. Editing: The re-reading of the story. Does it make sense? Are all of the details included? Is the grammar, punctuation, and format all correct? Revising: Correcting, changing, or adding to your writing from the edit stage. Final Copy: Writing the whole story with edits and revisions complete. Help your child pick out a quiet spot to focus on his writing. He may already have a place designated to do homework, but as it's summer, how about sitting outside under a tree? Encourage him to brainstorm a topic he's excited about. He may choose a subject or setting that he's experiencing quite a bit this summer. Is he spending time at the beach? Summer school? Focusing on learning a musical instrument? Once he has a topic picked out, sit with him and discuss his ideas and thoughts. Be enthusiastic about his choice and encourage him to get as many ideas down on paper as possible. This is brainstorming! He can organise them later. From this point, your child can start outlining his story and deciding what he wants to include. What happened first, next, and last? Where, and when, did the events occur? This is the pre-writing stage, so he can jot down ideas in the form of notes, or even sketches. Next, have him write his story. Encourage him to include as much detail, description, and personal touches as possible. When he's completed his first draft, have him read it to you. You should ask questions about the story, such as, “What happened at the lake when Joe Doe fell in the duck pond?” "Why did Jason act that way?" Encourage him to reflect on what went on behind the scenes. Using the dictionary, thesaurus, and a good listener for grammatical structure (indent paragraphs, use of capitals, punctuation, parts of speech, and spell correctly), have your child edit this story for the final draft. Next, have your child apply his corrections and revisions to the final draft, making it ready for publication! Upon completion, invite your child to include some illustrations, making drawings to go with the writing or using photographs they took that go with the story. The more original and creative, the better! Once bound, share with friends, family, and classmates upon returning for a new school year. Your child's summer book will be a great ice-breaker for making new friends and having something to talk about with old ones, too!